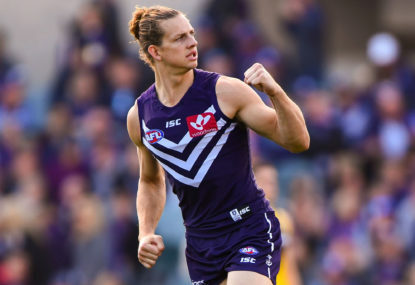 The GWS Giants welcome the Fremantle Dockers to Manuka Oval today looking to gain a fourth home-and-away win for the 2019 season. 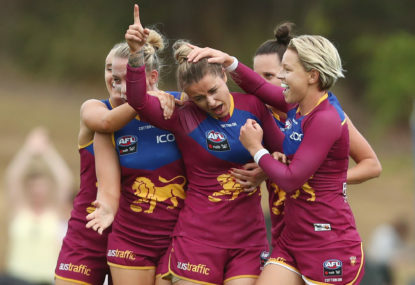 Join The Roar for live scores and a blog of the match, starting from 1:45pm (AEST). 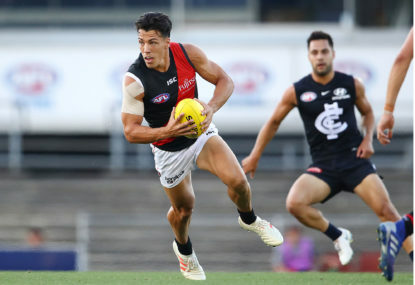 Match result: The Essendon Bombers have defeated the Melbourne Demons by 18 points at the Melbourne Cricket Ground to gain their first win of the 2019 season. 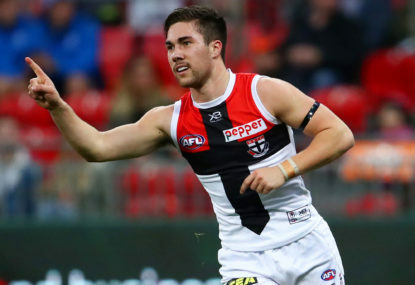 Match result: The St Kilda Saints have defeated the Essendon Bombers at Marvel Stadium by 11 points. 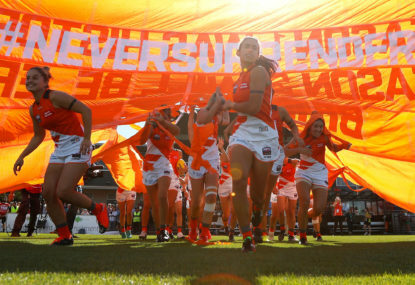 The GWS Giants and the Adelaide Crows will continue their pre-season preparations with a JLT Series clash at UNSW Canberra Oval come Friday night. 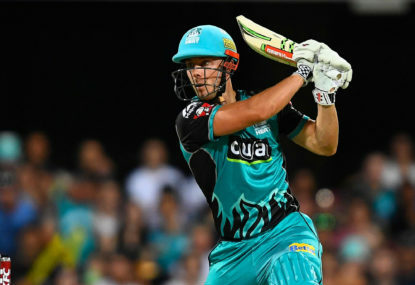 Join The Roar for live scores and a blog of the match, starting from 7:10pm (AEDT). 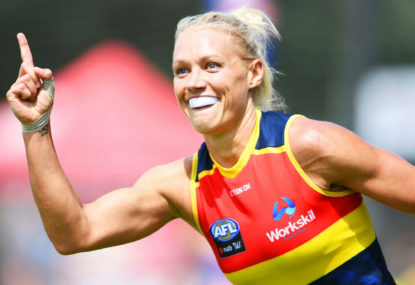 Match result: The Adelaide Crows are the first side to defeat the North Melbourne Kangaroos this season, as Erin Phillips’ side claimed a 35-point victory over North at Chirnside Park today. 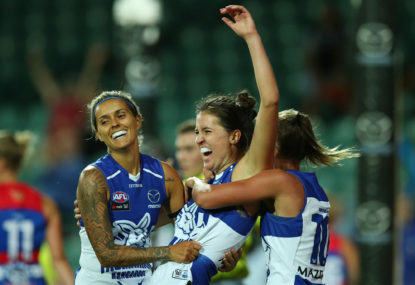 Match result: North Melbourne remain undefeated after a four-point victory over Melbourne at Casey Fields. 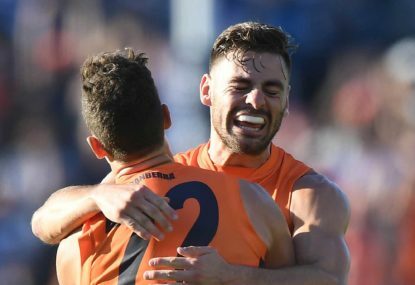 Match result: The GWS Giants have finally gotten their first win on the board in season 2019, knocking off the now 0-4 GWS Giants by nine points on Sunday. 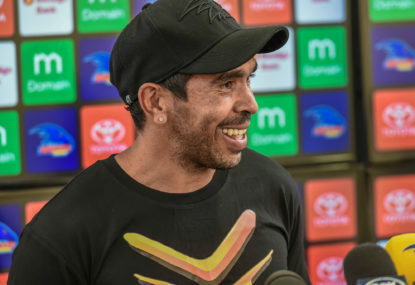 Marvel Stadium is yet again set to host the modified version of Australian rules football, AFLX. 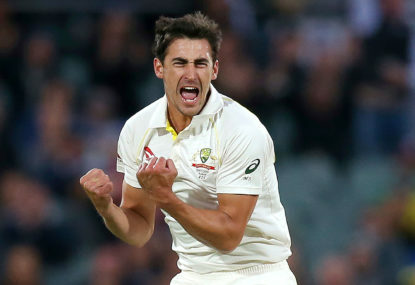 Join The Roar for live scores and a blog of the event, starting from 7pm (AEDT). 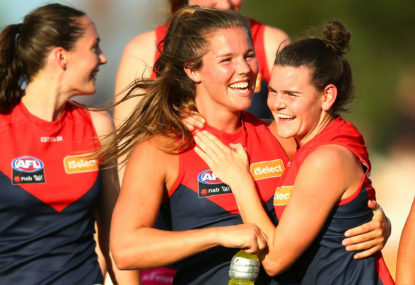 Match result: The Melbourne Demons have defeated the Brisbane Lions by 39 points at Hickey Park. 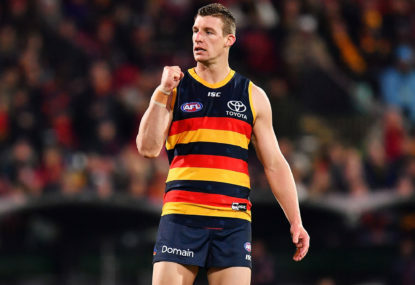 Match result: The Adelaide Crows continue to put the pressure on in conference A, moving to a 2-1 record with a sound victory over the Geelong Cats. 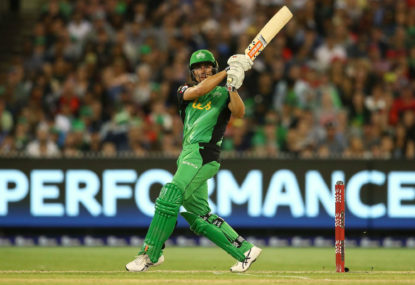 Match result: The Melbourne Stars will play finals and perhaps enter as favourites despite a fourth-place finish after a crushing 94-run win over the Sydney Sixers. 14.22 – Minor for the Cats. 14.38 – Dangerfield back on the ground. 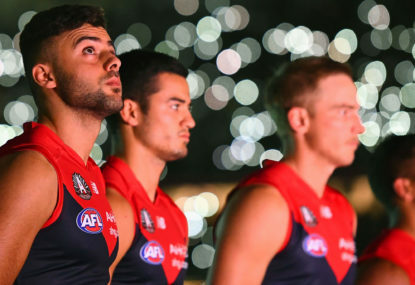 17.33 – Dangerfield went off hobbling around a minute ago and Stanley nowhere to be seen. 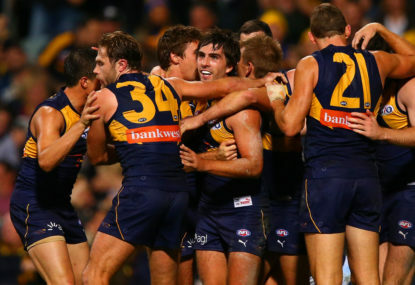 17.34 – Ablett gets the first goal of the quarter. Big moment. They’re too slow. If you’ve got any pace you can definitely exploit them. Hawthorn goaless in the first quarter. Strange game. Geelong were the better side in the first quarter, but Hawthorn dominant in the second. 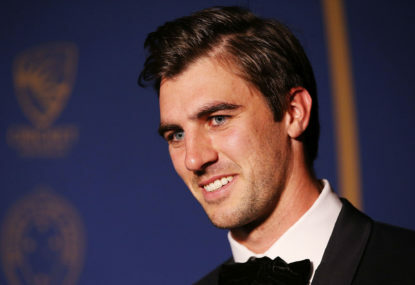 Clarkson’s men look fitter and quicker at this current moment. 02.54 – Minor for the Hawks. 06.31 – Breust with the contestant mark and he converts from directly in front. Hawthorn are running all over the Cats at the minute. 07.34 – Pittonet marks, but misses on the set shot. 08.41 – Minor for the Hawks. 10.26 – Smith receives the ball on the run and boots home another from 50. 11.49 – Minor for the Cats. 12.58 – Breust strolls away and snaps home his first. Hawthorn well on top now. 14.04 – Minor for the Hawks. 14.45 – Gunston read the play well and he snaps home his first. 16.41 – Hawkins with a huge grab and he will line up for his second. He goes back, but misses. 18.44 – Smith with a clinical finish from 50 and he gets the first goal for the Hawks. Geelong with a solid defensive display in the first term. They have a deserved lead. 01.06 – Mitchell with the snap, but he couldn’t convert. 02.37 – Minor for the Cats. 03.30 – Ablett wins a free from the stoppage and will take his set shot. 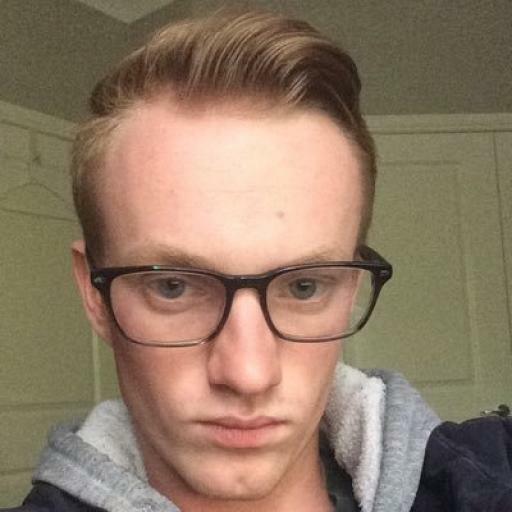 He goes back and puts it through the middle.